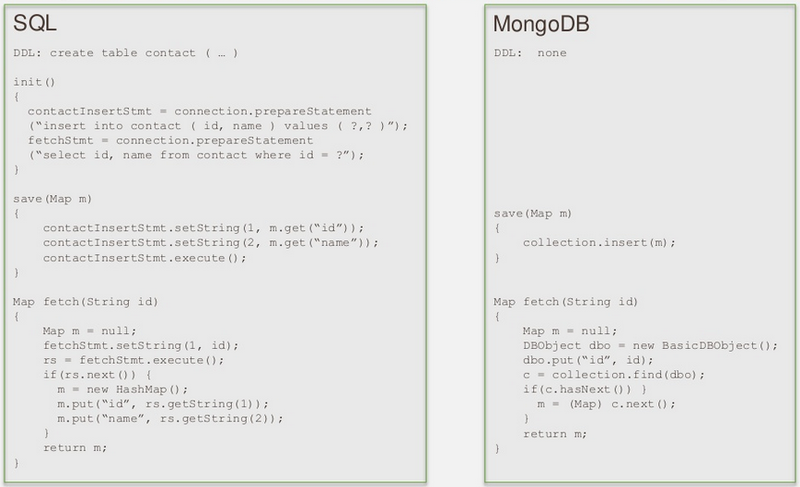 MongoDB vs SQL: Day 1-2 | MongoDB about the differences in building an application using SQL versus building the same application using MongoDB. First off - before we get into anything - what is it that we’re all trying to achieve with our data? Sure, there are necessary evils such as reading and writing data from databases, putting data on message buses, and working through open source integrations, but at the end of the day what we really want to do is take information, compute it, and get it in front of the right people to help them make better decisions. Business demands often seem pretty simple - “I just want to save my trades” or “Can we make a product catalog that handles ¥, £, and $ seamlessly?” - but the way that the data is expressed in code or in the application is different from the way it’s framed in a business use case. 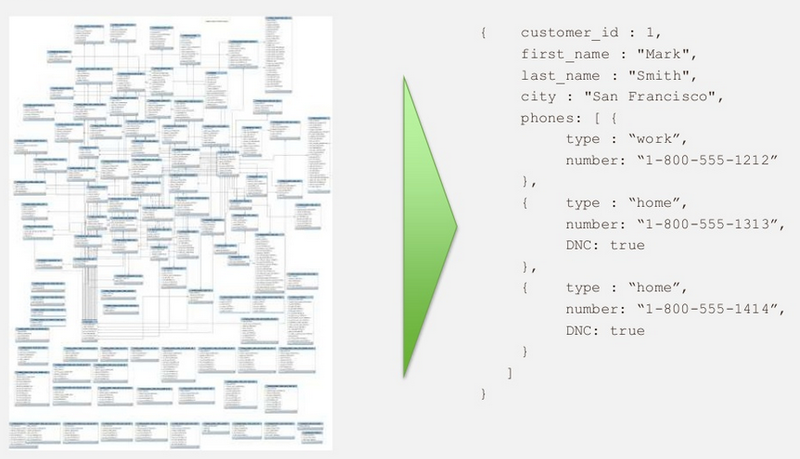 When you get to how the use case is implemented in the database, the differences are even more pronounced. And why is that? One reason is that innovation in business and in the code/application layer has far outpaced innovation in database technologies. RDBMS came onto the scene in 1974. Since then, business goals have changed, the pace of business has increased (time to market actually matters a lot now), and we’re using technologies we could not possibly have imagined would exist 40 years ago. Back then we had fairly simple languages that were well-mated to the ‘rectangular’ and ‘flat’ RDBMS world. Today, we have extremely powerful languages of all types with never-ending streams of updates coming from the open source ecosystems we’ve built. The only thing that’s constant is change. In our initial case, we just have two very simple things, “save” and “fetch”. Rich queries will come later on. 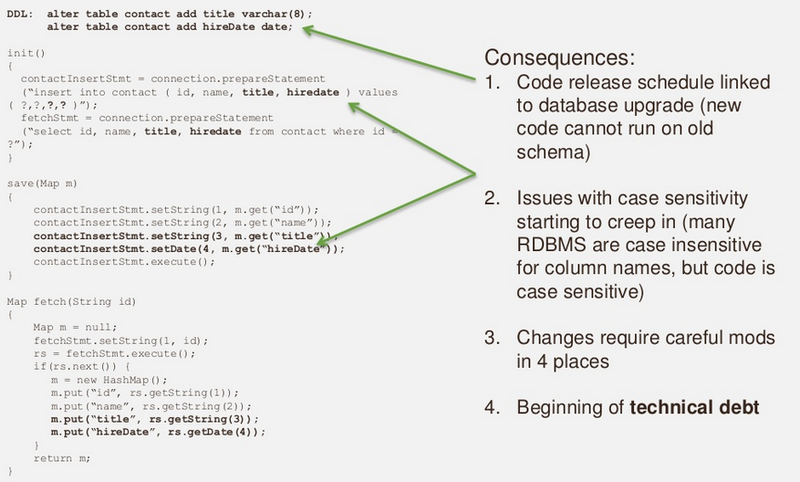 This is what this might look like in the code for both SQL and MongoDB: In MongoDB, “data is the schema” and we are not required to create a table. 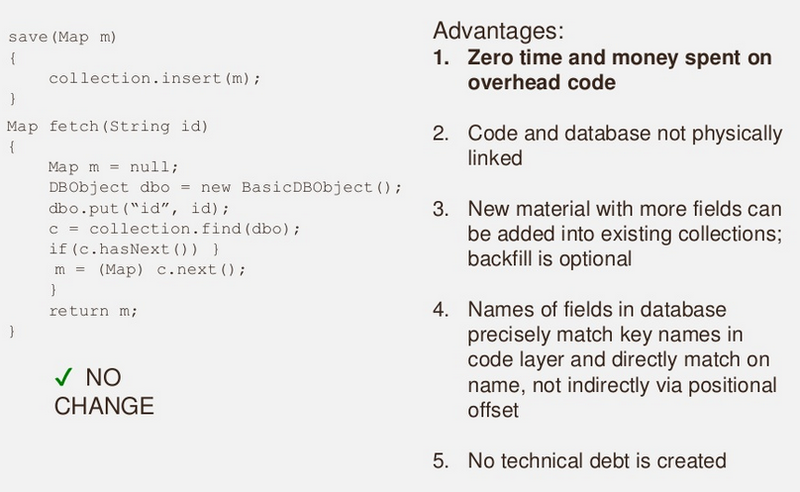 If you look closer at the fetch functions, you’ll notice that they are largely the same. An important takeaway from this is that in MongoDB, your basic way of addressing the database is actually very similar to how you would do it in an RDBMS. You construct the query, you pass it in, you get back the cursor, and you iterate over the cursor. The fidelity of the data moving out will change as we progress through these examples, but for now lets assume that we have parity.